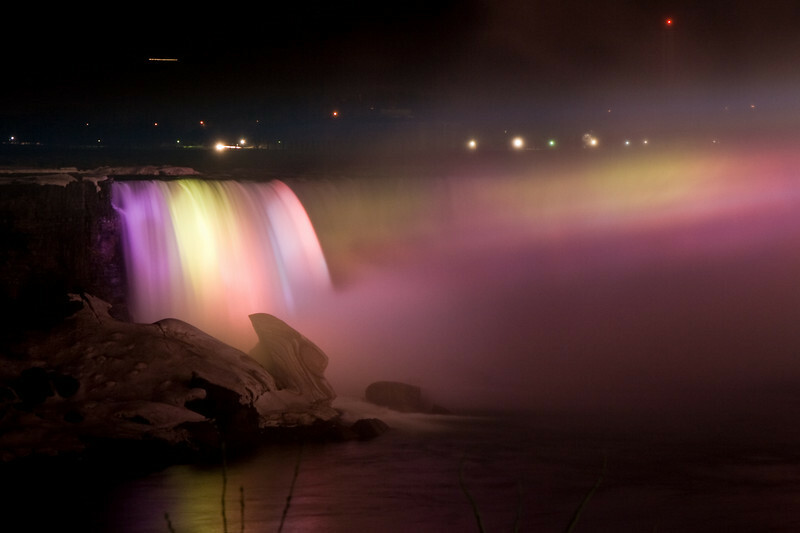 Pictures taken at night at Niagara Falls, New York. 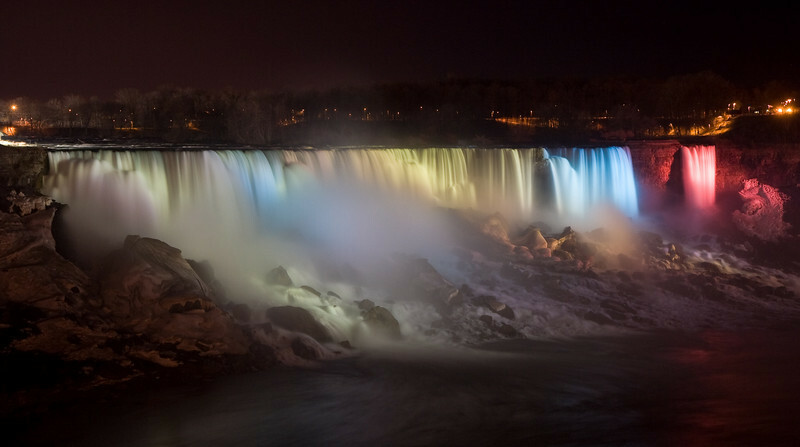 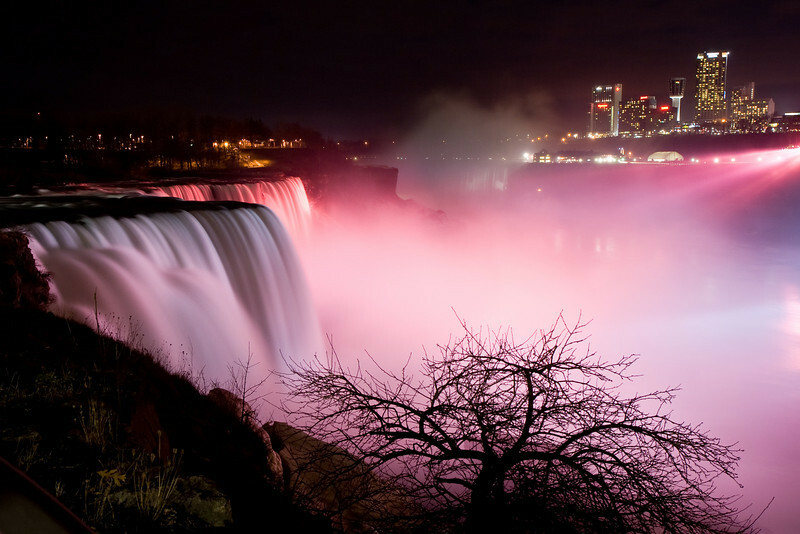 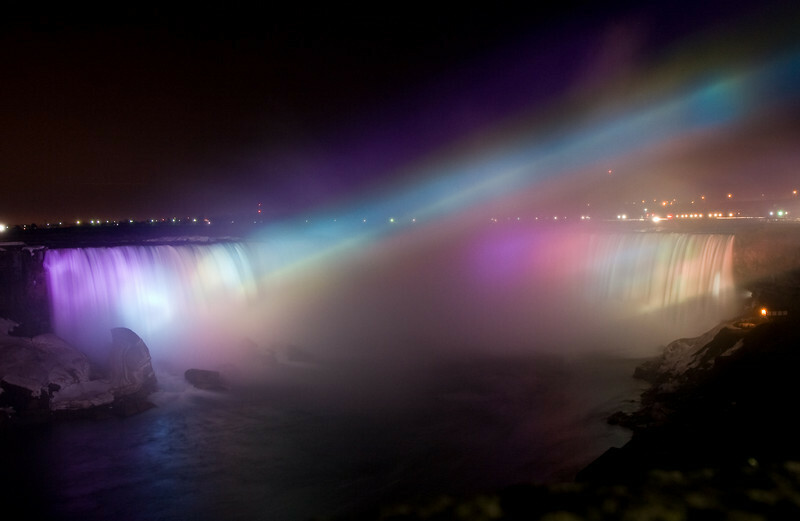 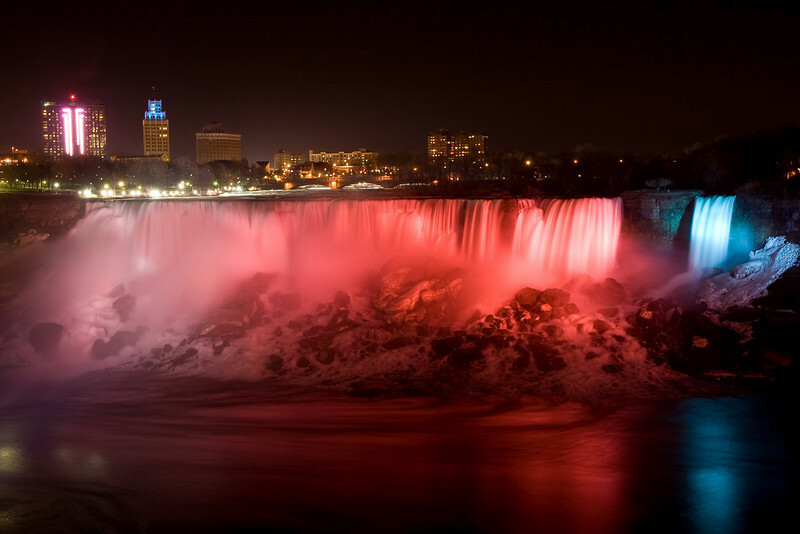 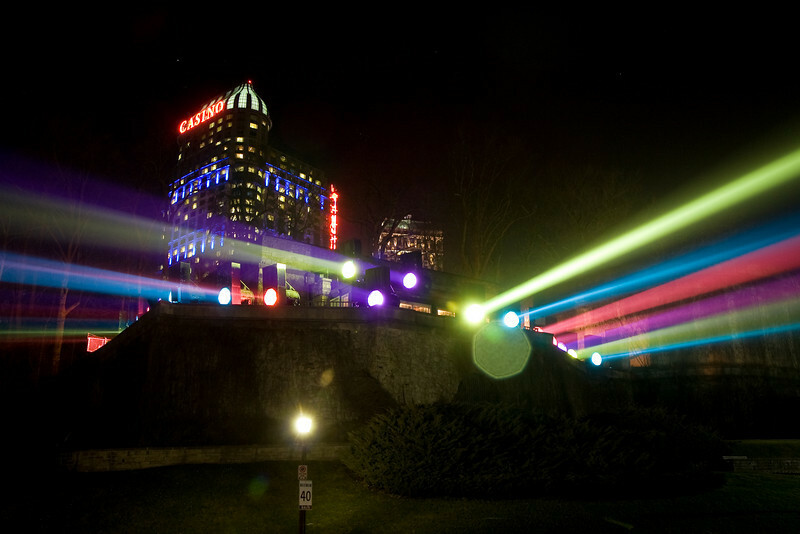 For two hours in the evening, the falls are lit by powerful colored lights from the Canadian side of the river. 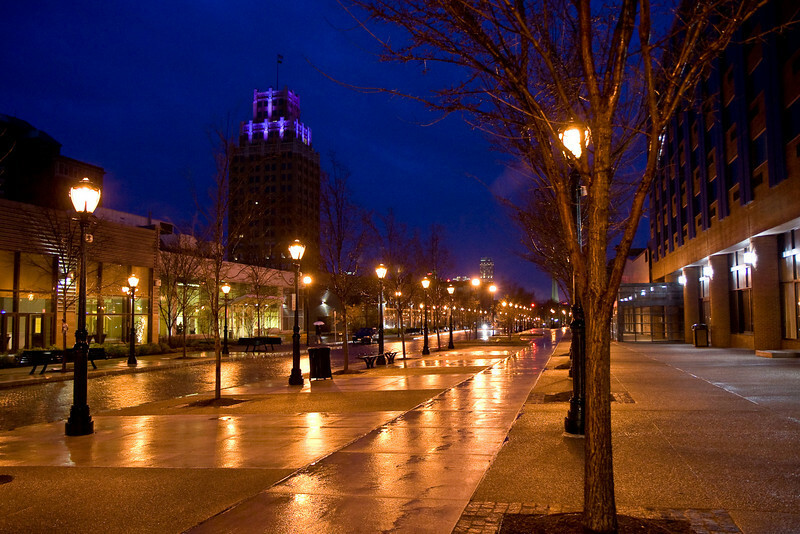 Night scene of the street after a rain. 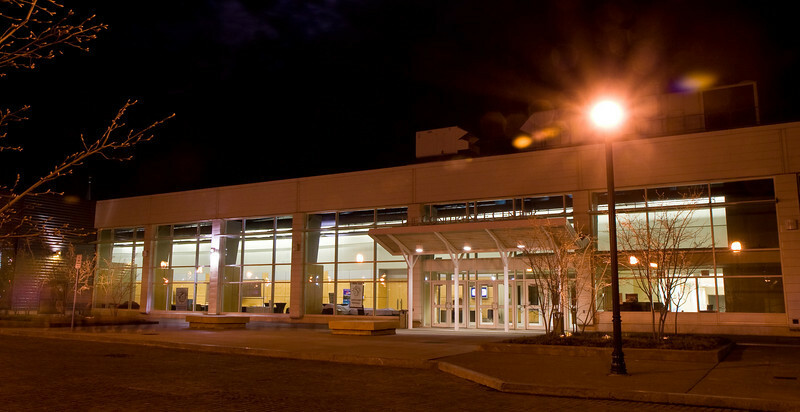 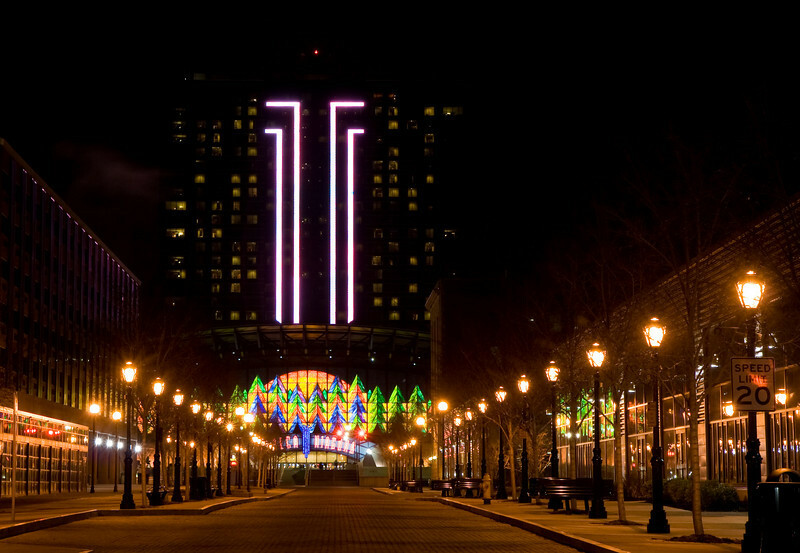 Hotel on the right and conference center on the left. 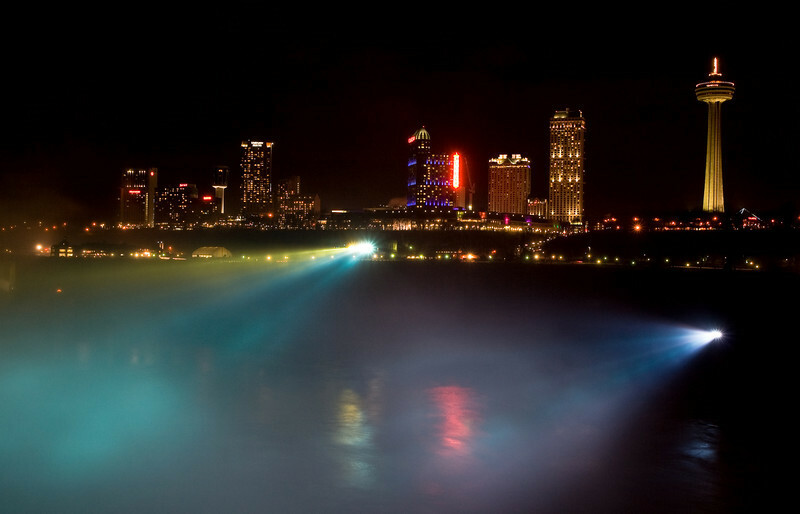 American Niagara Falls at night lit from the Canadian side with Niagara Falls, New York buildings in the background. 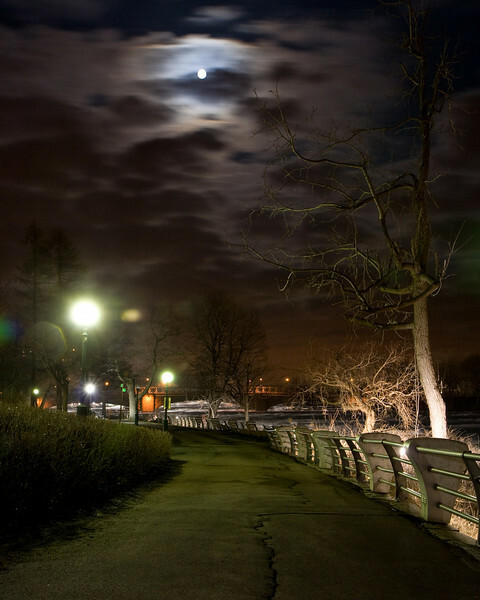 Niagara Falls State Park walkway at night. 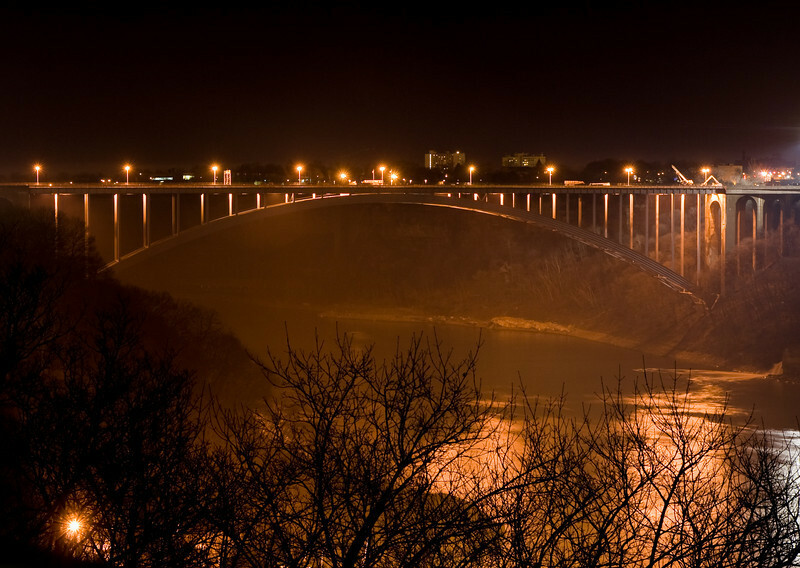 Niagara River is to the right. 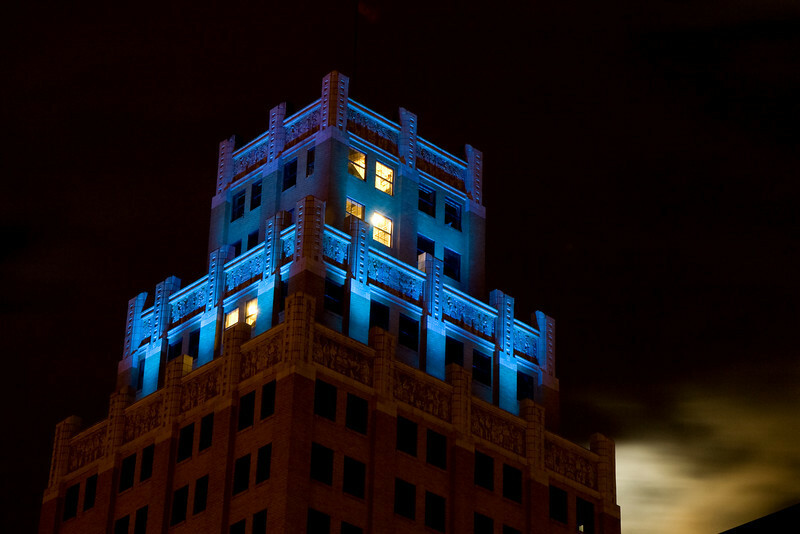 Old building in Niagara Falls at night with the moon behind it. 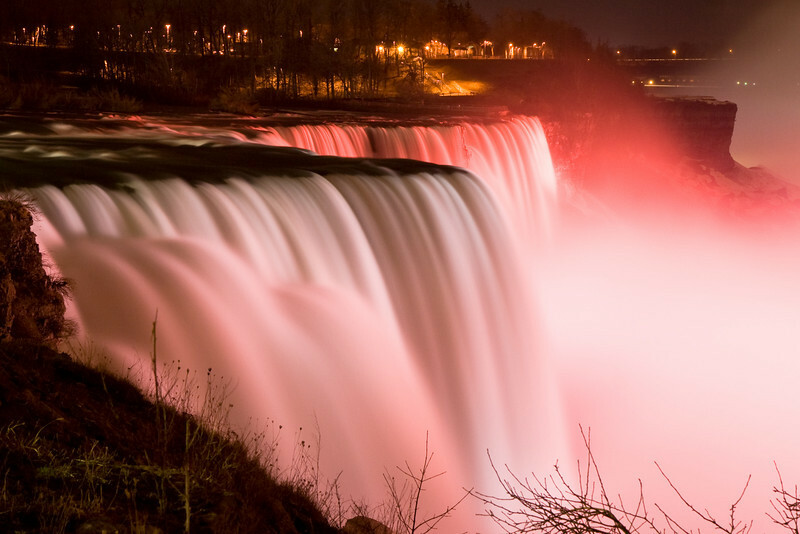 Niagara Falls, Canada at night with powerful colored lights directed at falls. 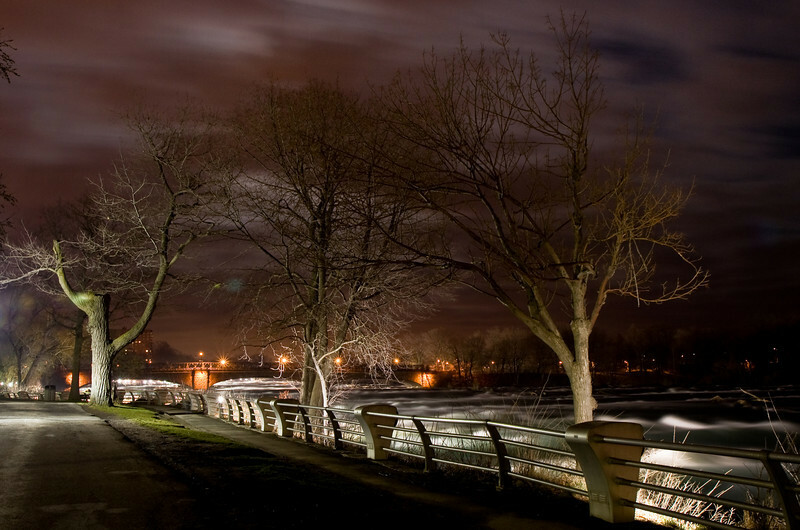 Niagara Falls State Park walkway at night with the Niagara River on the right. 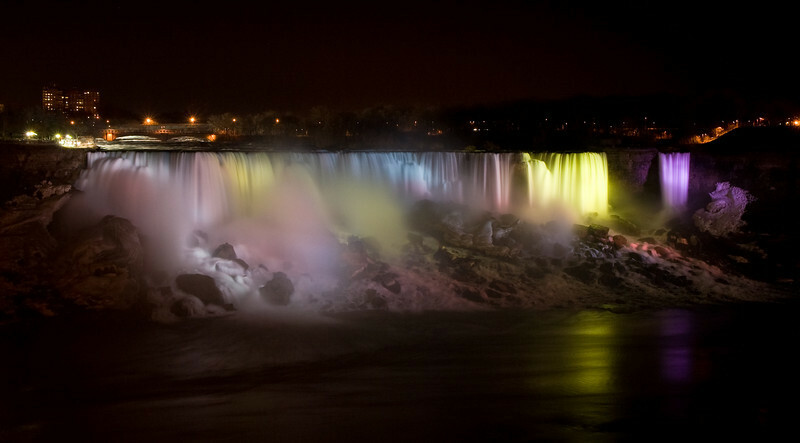 A part of Horseshoe Falls at night lit with colored spotlights.